In an open letter published in The Times newspaper, several American celebrities and over 57 million Americans warn UK citizens about the dangers of growing GMO crops, and the importance of speaking out for their right to decide whether or not to grow them. Susan Sarandon, Daryl Hannah, and Robert Kennedy Jr have joined trade groups like the Food & Water Watch, the Sierra Club, the Rachel Carson Council, Friends of the Earth, the Organic Consumers Association, Dr Bronner’s, and NYR Organic to warn the UK of the peril which GM crops could cause if people don’t speak out in time. The open letter details the challenges that American farmers have had to face, as nearly two decades now of genetically altered crops have littered our once-pristine fields and farms. Pamm Larry and Diana Reeves, as well as Beyond GM Director, Pat Thomas, were the original champions of the letter, and helped to organize its completion. The fully referenced letter, is signed by groups and individuals representing 57 million members and supporters. It is clear now that most of the world, including scientists and even former biotech supporters, have seen the light concerning GM food dangers. It is an unsustainable model to feed the world. Its main goal was never to ‘feed’ anyone, but make profits for companies whose best-selling products are chemicals. With the European Parliament’s recent decision to bring member states a step closer to deciding for themselves if they want to ban genetically modified food, there is no doubt that this letter will have even more of an impact. The letter argues that GM crops have not increased crop yields, and have only inflated pesticide use. GM crops have increased the costs of farming to farmers while polluting our environment and our livestock. Vital pollinating insects have been decimated, and the Monarch butterfly populations are down more than 80% in parts of the Midwestern US, a place where many crops are sprayed with neonicotinoid chemicals. Roundup chemicals kill milkweed – one of the butterflies’ main food sources when they migrate from Mexico to the US. The letter also points out the absolute invasiveness of GM crops. After just 20 years they have completely infiltrated our food system. Over 70% of all processed foods in the US now contain GM ingredients, which means high levels of pesticides, herbicides, and fungicides are now lingering in our food. The incidence of cancer, dementia, reproductive issues, bowel problems, and even Autism and ADHD are on the rise – all linked to biotech chemical exposure. What’s more, all of these chemicals are showing up in people’s blood, urine, and breast milk. American mothers have tested to find that their breast milk is contaminated with around 1,600 times higher levels of GM chemicals than what is currently allowable in European drinking water. The US is now a perfect example for the EU to look to when determining whether or not to allow more GM crop growth. We are a ‘failed agricultural model’ that can serve as a warning to other countries considering growing GM foods. Control has been given to corporations to sustain our food supply, and now we are all suffering from this choice. 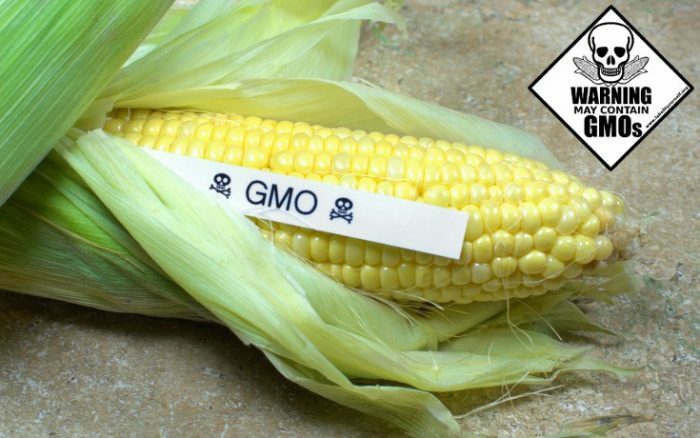 Alright so if we do see a UK wide ban of GMOs, then our “lovely” politicians get cosy with the US via the TTIP : well what do think’s going to occur?!? Why don’t some of these “moneyed” individuals step up and support Maui in their lawsuit that has been brought by Dow and Monsanto? Put their money where their mouth is! U.S.A. has come to be the abbreviation for Utterly Stupid Americans. Deserving or not, they certainly don’t hold a monopoly on stupid. We are about to see if they have a contender challenging the title. As pervasive as GMO’s are in human food, the lions share of these come indirectly in the form of 2nd generation ingestion, rather than 1st. The ANIMAL eats the tainted plant and we in turn eat the now tainted animal. Reading a label simply won’t include meat or dairy as it would be IMPOSSIBLE to test and police. So your attempted avoidance of GMO’s would be impossible! Like most readily visible problems in life, there is always a not so visible underlying cause for that problem. In other words, the problem is just a symptom of a bigger problem. If you want to talk sustainability and population, then lets look at the bigger picture. Most of the corn, soy, and canola grown worldwide goes to feed livestock, not people! Take the livestock out of the equation and the meat that is literally feeding the Monsanto GMO Dragon stops being served. I am not advocating vegetarianism at all, just a planetary sense based reduction. Is Monsanto really the problem, or maybe just an opportunistic symptom of a larger problem who’s time has finally come???? Those who advocate population reduction may be HALF RIGHT. They just have the wrong population in mind. The links below shine some bright lights on what I am saying here.